Thank you to Penguin UK - Michael Joseph for sending me this book via Netgalley in exchange for an honest review. So I've been wanting to get out of my 'reading comfort zone' for a while now. I only seem to read specific genres and I wanted to get out of that even just for a while. So, when the opportunity arose to read debut psychological thriller, Dear Amy, I just went for it and started reading with an open mind. Margot Lewis is a Secondary School teacher at a quite respected school in Cambridge. She is also agony aunt for the Cambridge Examiner where she tries to give advice to all sorts of people from all walks of life in the local area. 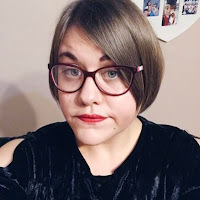 One evening she receives a rather interesting letter from someone who is believed to be dead after going missing several years ago, Bethan Avery. The letter claims that the writer has been kidnapped and is fearing for their life, with Margot taking it rather seriously. As one of her previous pupils has also gone missing, Margot sets out to discover the truth even if it will cost her everything. I've got to say that I was definitely surprised when reading this, I wasn't really sure if I would like it at first seeing as it was out of my usual reading material but oh boy was I wrong! I was literally sucked in by the suspense, the thrill and the mystery of it all. There were points in the book where I was literally sitting on the edge of my seat with my heart racing. It felt like when you watch a horror/thriller movie and you can't bare to watch but at the same time you know you need too! There were times where I knew I had to stop reading for the day, but I just couldn't move my eyes from the page. Margot as a character was rather interesting, at first she just seems like a normal woman getting on with life, but further down the line you realise that not all is what it seems with her. You do get glimpses into her past involving drugs and homelessness and you also realise what she has to deal with in her present life, including her divorce from husband Eddy. So all in all I ended up seeing her as quite a complicated, but likeable character who just wanted to do the right thing and save a life. The only downside to Dear Amy was that I found parts a little bit too predictable. I'd already guessed what was going to happen at the end before I was even halfway done with the book and I did have an inkling that I knew what was going to happen to Margot. However, I didn't let this get in the way of the suspense and excitement throughout. Dear Amy was a really good introduction to the Crime/Thriller/Physiological genres for me and I couldn't have asked for a better read! The uncertainty, the excitement and the thrill all kept me hooked and I am astonished that this is a debut novel! I will most certainly be looking into reading more books within this genre. Now that I have read one, I want more! 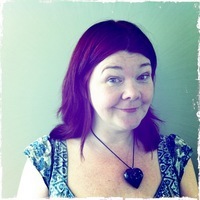 Helen Callaghan is a fiction writer. 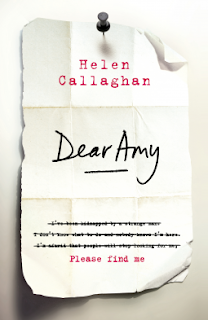 Her debut novel 'Dear Amy' published by Michael Joseph is out on 16th June. She is represented by Judith Murray at Green and Heaton Ltd.